It’s an ambulance – come to pick up Corey who was testing his new super-strength with Mason and is now spewing mercury everywhere. Scott panics and freezes before Theo prompts him to go help and try to protect Corey at the hospital since the Dread Doctors will come to kill him. 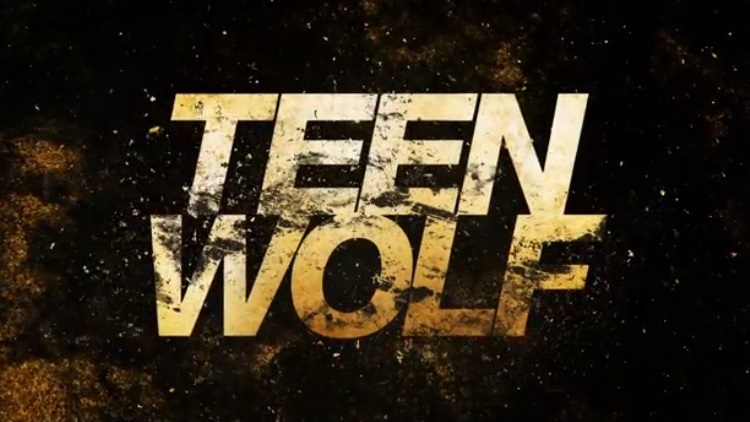 Theo and Scott drive to the hospital– and Theo tells Scott that Stiles killed Donovan after Scott pushes him to continue with his interrupted revelation. Well, sort of revelation – because he says Stiles beat Donovan to death and Theo had to drag him off the body and while he calls it self-defence, it really really doesn’t sound like self-defence. At the hospital they find Corey is running amok and he’s acquired chameleon powers. Electrics acting up also points to the arrival of the Dread Doctors Corey uses his powers to hide from them… but it doesn’t last long and he is easily killed. Scott and Theo find the body – and realise they have to find Hayden. In class, Malia sees another classmate, Beth dripping mercury. She leaves and Malia tries to follow and help but is stopped by the teacher, Natalie Martin (Lydia’s mother). Malia has no time for Natalie’s ignorance of the supernatural and flashes glowing blue eyes at Natalie; Natalie pretty much confirms she does know about the supernatural (by not being slightly surprised by glowing eyes) but is determined to avoid it – telling her that they all need to focus on their school work. Hayden has already left the school and run off with Liam to escape the doctors. They grab a stash of Hayden’s money from the bar and plan to go on the run though Hayden does worry about her sister, Clarke. She’s also worried about going on a killing spree but Liam brushes it off… and the Doctors arrive. Lydia drives with Parrish to find the Nemeton, honing in on the tree stump without him even knowing where he’s going. At this point Stiles also sends Lydia a message to point out that Chimera are dying all over the place so she better watch out in case Parrish has another body snatching moment. She decides the best way to kick in his fiery powers is to spar with him (uh, he has flipped over a car Lydia, not a good plan) – which works and he finds the Nemeton (and has a glowy eye moment). Parrish is now convinced that yes he is stealing bodies and covering up bodies which worries him a lot since it kind of wars with his job (especially since it comes with jeep flipping). But Lydia wonders if covering up the supernatural is all part of his woo-woo. Parrish isn’t all that reassured because he dreams of hundreds of bodies at the Nemeton, so learning his dreams are real is not good at all. At the police station Parrish locks himself up and the Sherriff becomes even more confused. The Sherriff tries to let him out but there are two new bodies and Parrish is worried about being let out, he’s too dangerous. Scott runs into Stiles, in the rain… and they have a confrontation about Donavon’s death with highly ominous music. It’s dramatic and tragic and terrible – all of it overheard by Theo. Of course Scott doesn’t know what really happened so he thinks Stiles killed Donovan to protect his dad – and says Stiles had a choice. Stiles lashes back that he’s not as perfect and doesn’t have all the special True Alphaness Scott has. Scott still thinks it wasn’t self-defence – and doesn’t believe Stiles when he says he had no choice. Stiles begs him to say he believed him… but Scott won’t and backs away from him. Stiles asks how he can fix this…. Scott doesn’t answer and talks about Malia and Lydia instead. Ouch…. So much ouch. Scott goes in to find Hayden dying – and Liam begs Scott to bite her. And Scott says no. Scott and his asthma dances on the problematic. On the one hand I can see it as not so much the asthma itself that troubles Scott – though certainly suffering terrifying asthma attacks after so long of not needing an inhaler would be terrible experience. But, since his asthma was magically woo-wooed away by becoming a werewolf (as so often happens with disability in the genre), it returning takes him back to a time when he was very much not in control of his life, was failing at school, sports and generally not the in command, in control person he is now. The problem is, while all of that can be inferred, it isn’t presented expressly. Instead what we have is the presentation of a character basically declaring how utterly weak and helpless and incapable he is… because he has asthma and has to use an inhaler. It would work better to be overt because it would link well with what Malia said – they’re losing, people are dying at a rapid rate, just about everyone is carrying a massive secret that is hampering them all – they are losing and the despair over that is really well done. The whole theme of this season has been falling apart – them failing, their relationships degrading and everything coming to pieces. Remember I had a rant a few episodes ago about how Teen Wolf made a big thing about theirtwo new major gay characters this season and then just killed them off? WellCorey came back. For a bit part in a couple of episodes. Then died. See, this is why I didn’t retract my rant. At least mason is still getting his 90 seconds of screen time per episode (which, depressingly, is a step up from previous seasons LGBT inclusion… but only because the bar was pretty low). Also flagging that Scott is worried about Deaton and Kira’s absence doesn’t actually make up for the fact they are actually absent. Dropping POC in the plot box is a habit this show has had for a while – Deaton disappears for long stretches, Mason and Danny rarely appeared for any meaningful length of time, Braeden vanished for whole seasons – Scott is the only one who consistently remains. While I’m not a fan of Hayden, I think this show needs some more named, female, regular characters who aren’t being put on the bus so I’d quite like her to live. Of course, it also needs to do hell of a lot more with the actual female characters that are there as well… Lydia and Kira and Malia and Melissa have been sorely underused. I suppose if Hayden does survive there’s little indication she will be treated differently (and, to be honest, I’d much rather have these other characters have more presence and involvement).